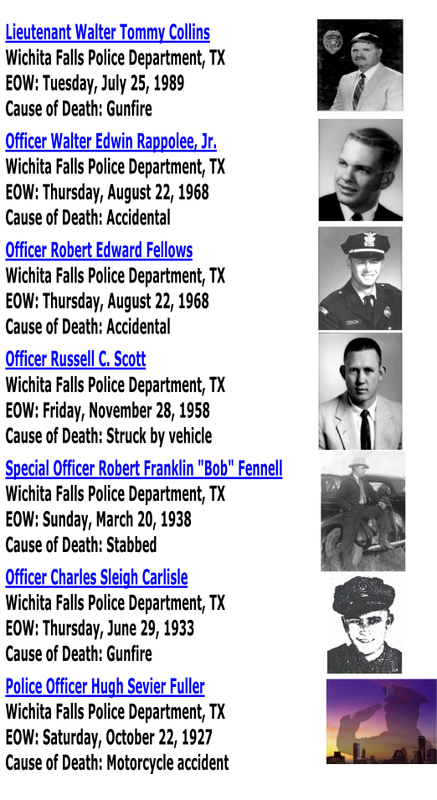 Since our founding in 1890 our Department has suffered the tragic loss of seven brave Officers who were killed in the line of duty. 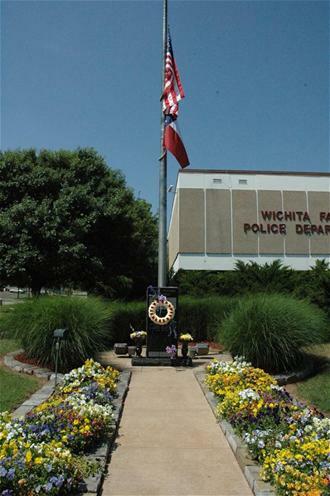 Those Officers and their families are honored every year in May, during National Police Week, with our special Wichita Falls Police Memorial Service. We honor their service, our loss, their family’s grief, and their ultimate sacrifice. Officer Tommy Collins, I think about you a lot. I wish you could see your family and I wish I could tell you that one of the children at the day care that day was my son who is now a graduate of Texas Tech. Then I realize that you already know all this because you are surely in Heaven. Thank you for your service, sir.